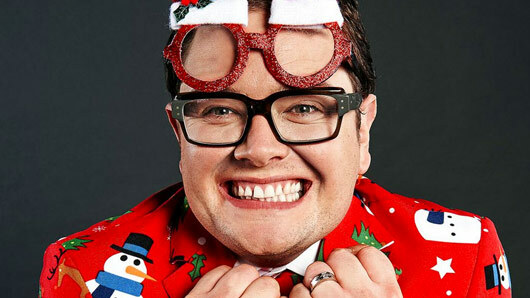 Who will join Alan Carr for the Chatty Man Christmas Special? The line-up for the Chatty Man Christmas Special has been announced. Stars of Star Wars: Rogue One Mads Mikkelsen, Diego Luna, Ben Mendelsohn and Riz Ahmed will be the first stars joining Alan Carr for a cheeky Lambrini. I’m A Celeb winner and Gogglebox star Scarlett Moffat will also appear to add a bit of reality television glamour. During a star-studded hour of television, Academy Award-winner Tom Hardy will also drop by. Gary Barlow, Dannii Minogue and Martin Kemp are also on board to talk about their new BBC One show Let It Shine. Also appearing on the show is Olympic medallist Tom Daley, plus Scarlett’s Gogglebox co-stars Chris and Stephen. Musical stars on the show include Emeli Sandé and Robbie Williams. Emeli’s recently released a new album ‘Long Live the Angels’, so it’s possible she could be performing a track or two from that on Chatty Man. Robbie too has just released his eleventh studio album ‘The Heavy Entertainment Show’, so could be performing a track from that. We’ll keep our fingers crossed! Last year’s Chatty Man Christmas Special was a whole heap of fun, including appearances from John Bishop, Stephanie and Dominic Parker, Samuel L. Jackson, Nan, Emma Willis, Marvin Humes, Keith Lemon, Lorraine Kelly, Little Mix and One Direction. We just hope there’s enough space in the studio!